We’ve stream of riders ‘invading’ the bike park during this build phase. “we won’t need any extra testing nor incidents at Tampines Bike Park for now”. The trail is littered with construction material, dangerous tools and pointy objects everywhere. with some rocks loosely place and stockpile for the next day build, you never know what you expect around the corner. So we read the boy who crashed 2 afternoon ago is now diagnosed with a fractured arm, and we certainly won’t want to see another incident of this. Riding in partially compacted trail during this wet season will simply delay the trail build process and the future sustainability of the trail thread. We won’t need your contribution of deep tire markings around the berms and riding surfaces. 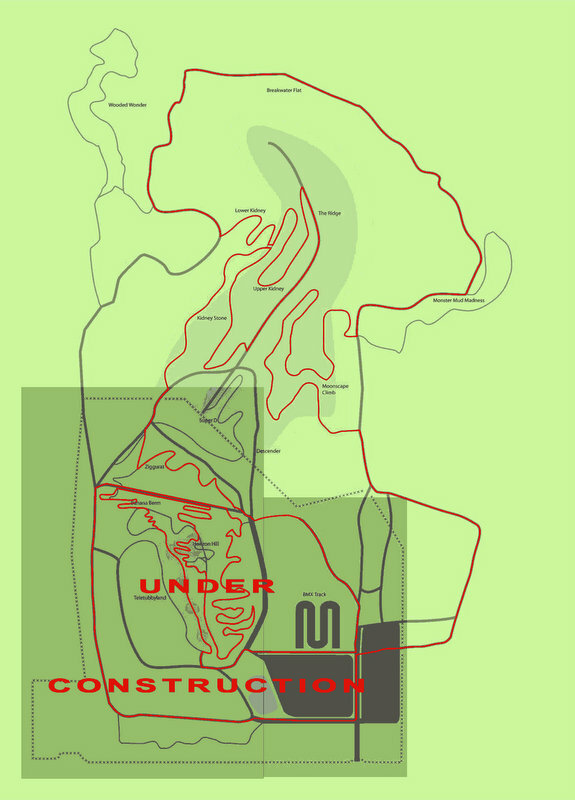 The Kidney Hills (Upper Kidney and Lower Kidney), breakwater flat and moonscape climb are still available for riding. Do keep your ride there if you badly need your offroad time at Tampines Bike Park, the new detour at the side of the main entrance is mostly done and should route you to the open trails. By riding kidney hills, the trail can be better compacted for the upcoming race and at the same time helps identify troublespot. Just give us a shout, when you see something that worth fixing. we will try to check it out. Hi, im really interested in riding the trail but im a little unsure about where i can/ can not ride. Could we have pictures as to where we can ride ( Also another opportunity to view the trail building progress! ) ? we’ve updated the post with a map. hope it helps. so those it open weekdays?